This model first appears in the January 1985 US price list . By August 1986 only the red or white finishes were available, and they do not appear at all in the April 1987 price list. Expect paint chips/damage on the body points. Check that the trem is complete, parts are hard to obtain. The “Fourth Dimension”—Black, Red, White and Blue! 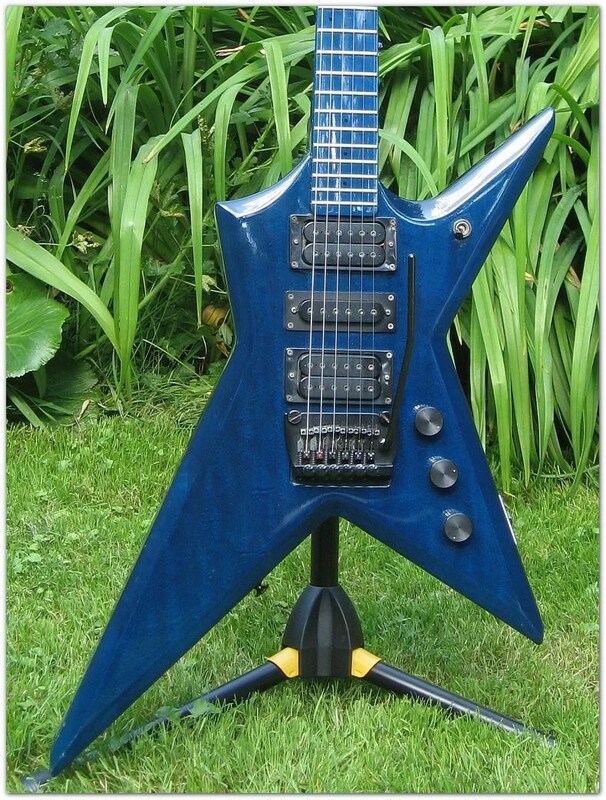 This gorgeous blue version was a pre-production model and was planned to join the other finishes, but as the designer Tom Presley relates in the forum post below, circumstances interfered with the plan. This is a very rare model. I went through a bunch of notes regarding the D 4s and found that we actually did make several pre-production Trans Blue models. Often, we did a design and shot them with different finishes to see what they looked like. 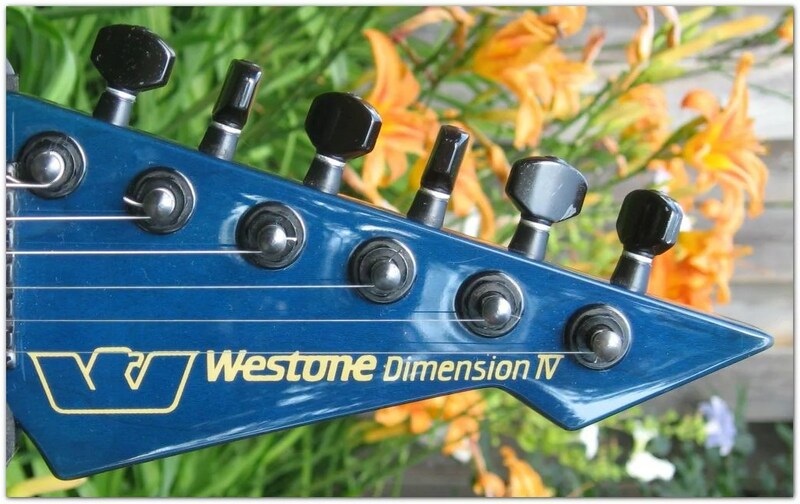 I was going to put more of the Blue models in the “Hot Stuff” catalog but by the time that we were ready to go into production of the catalog, the exotico bodies were somewhat captured by Jackson, Bernie (BC) and Ibanez. When doing “factory” finishes as a NAMM show or pre-production lot run, I could do as few as a dozen. We never put the model shown in any full release but as far as I can tell, a few were shipped to the European distributor with the balance coming to St. Louis for focus study. So, what I can gather is that there were 12 made with no more than 6 coming to the US. Also, have you noticed that there are actually 3 different body shapes in the 4 series? I played with the body contour several times….my bad . . . because we never really documented these well. It was simply a change to the “points” and edge countours. 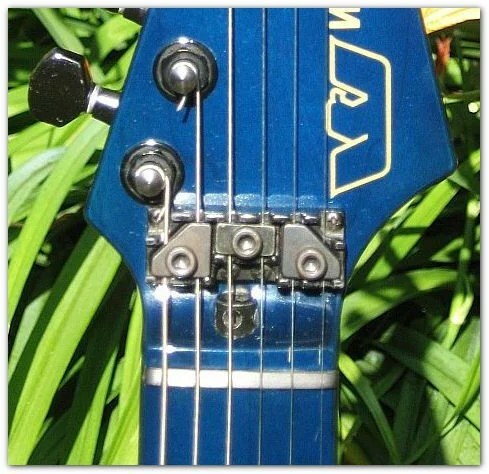 I was concerned in the beginning that the guitar edge shape was too thin and would cause breaking. As we became more proficient in NCR and selecting woods, we were able to try different things.